I recently received a copy of the début album of Gordon Duthie, an indie folk singer in Aberdeen. As a young man in the music scene, it looks like he will go a long way in his chosen genre. The album boasts ten tracks which range from the mean and moody to the alternative and slightly acoustic. With a distinctive sound that reminds me of my youth and music of old, it’s hard to say exactly what area of music that he fits into. With Aberdeenshire as an inspiration, Gordon seems to use an array of musical instruments in his tracks. Sadness Brings Us Together is my favourite track and I can’t help wishing there were more like this on the album as it brought a Celtic influence of the kind that I really do love. The track has made it onto my favourite chill out play list on my iPod and I’d like to hear more from Kristen Johnson who features on the track. This album is certainly a return to the music rather than the more modern commercialisation of musicians with fake instruments and auto tune. If you want to support a local musician, go and listen to the samples of his music. 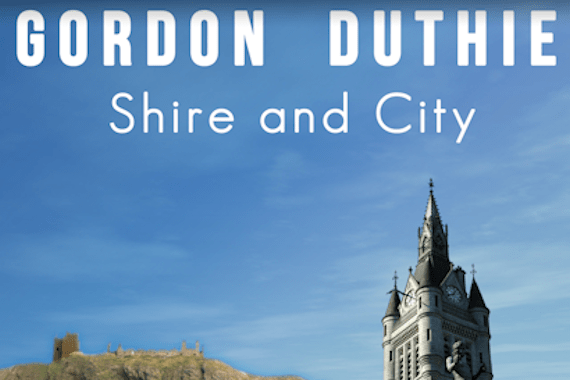 Disclaimer: I was provided a copy of Shire and City by Gordon Duthie, a musician from Aberdeen. I have not been paid to review this album, and the opinions are my own. « Toucanbox – a review.